The quickest way to beat the rainy day blues? 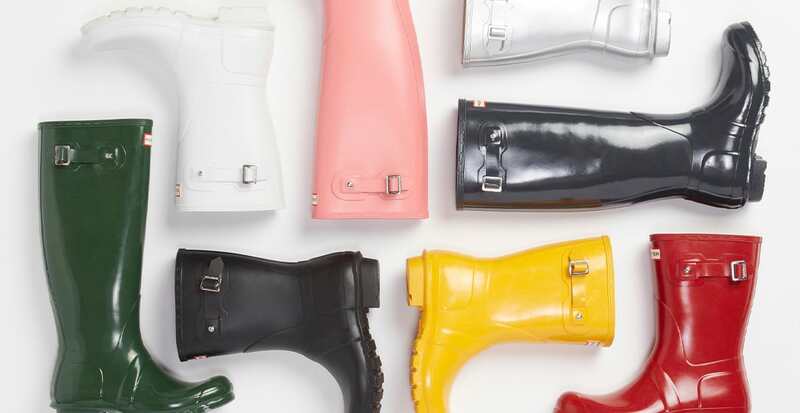 Brightly colored rain boots as stylish as they are functional. Translation: You’ll actually hope for rainy days. And since spring showers are inevitable, we’ll show you two different ways to wear them. 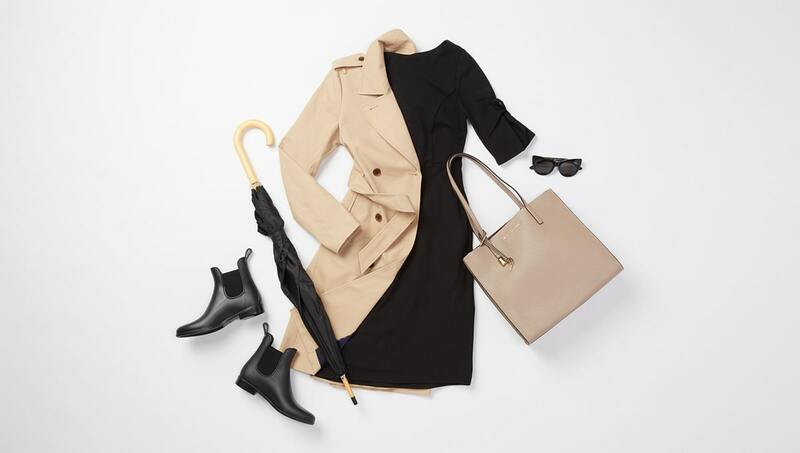 Weatherproof your outfit with a classic trench and neutral-colored boots for a look that’s both sophisticated and work-appropriate. A Chelsea-style rain boot is far less intrusive than a traditional Wellington—at a glance, they even pass for regular boots. Rainy days don’t have to be completely dreary. Brighten up your jeans-and-sweater combo by finishing off the look with boots in a vibrant hue. 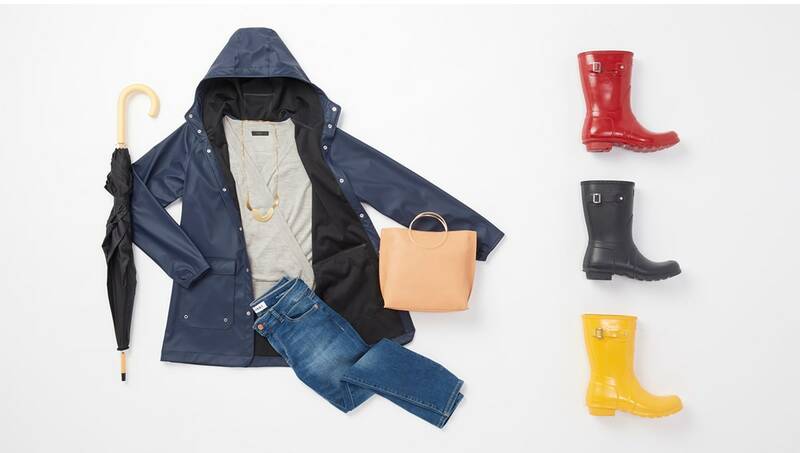 They don’t have to perfectly match your raincoat, just complement it.